Do you love art? Do you like to play with colorful nail polish? Use your nails as your canvas with this ombre tutorial. Gather all of your materials. 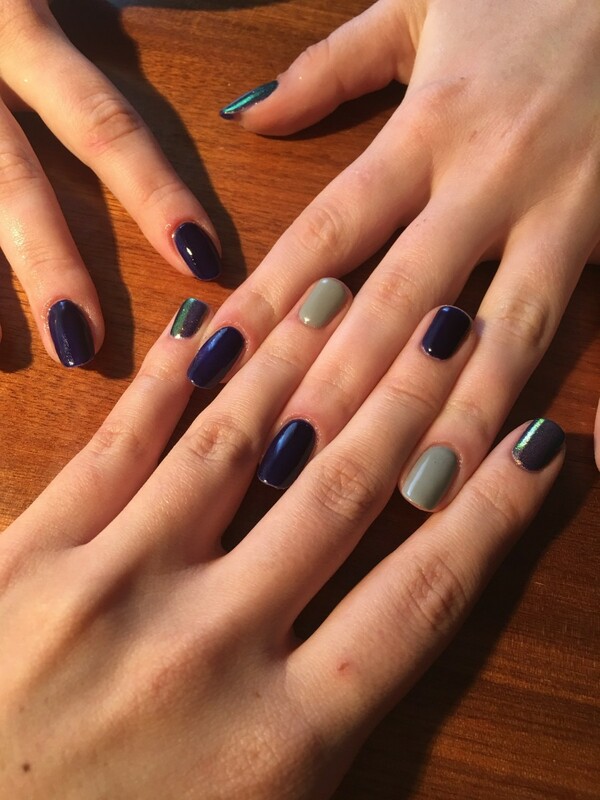 You can use any nail polish colors; just remember you want one light and one dark color. As you can see in the images above, here I used yellow and green. First of all, clean off any old polish with nail polish remover and cotton swabs. Next, apply your lighter color as the base coat for every nail (in my case, yellow). You can apply a double coat if required. Let it dry completely. Now, here is where the ombre comes in. Transfer some of your darker nail polish onto a plastic sheet or any other smooth, disposable surface. Then dab your sponge in the nail polish and press it onto the ends of your nails. Repeat it on every nail. Let it dry and cover your nail art with clear top coat. If you're in a hurry, dry your nail polish quickly by placing your fingers in ice-cold water for 30 to 60 seconds. Wondrously, the polish will come out completely dry. 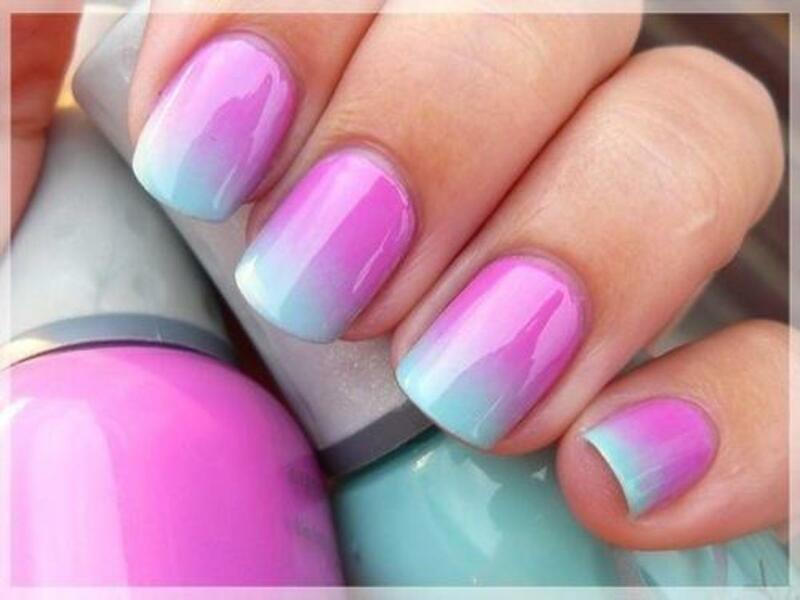 Do you like ombre nail art? Who doesn't love glitter? 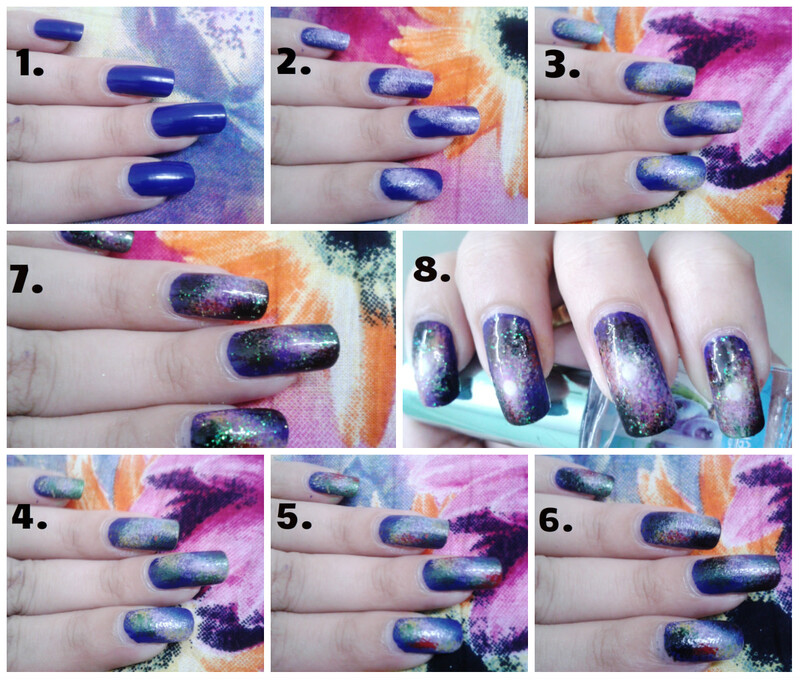 Instead of applying a uniform distribution of sparkles, mix things up by applying it in a gradient. 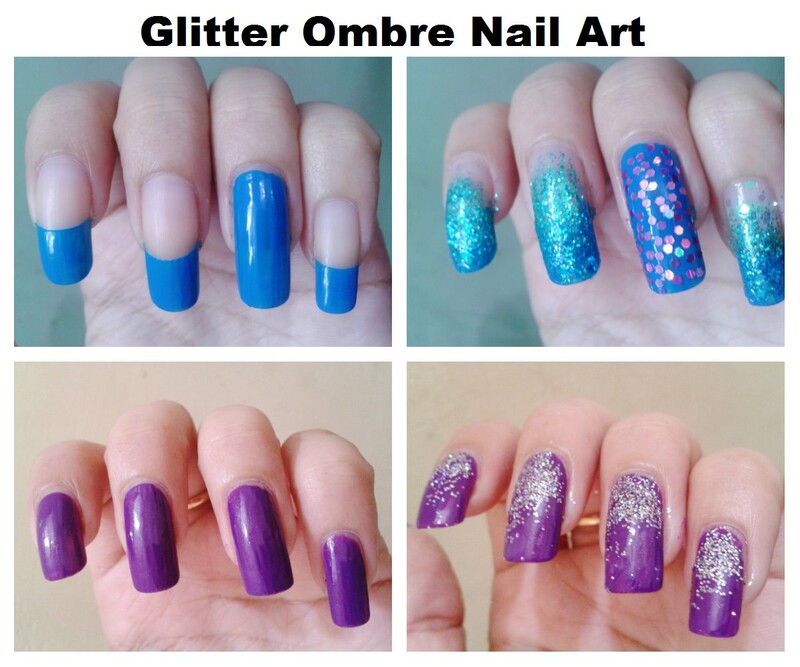 For this, you can use either glitter nail polish or clear nail polish and loose glitter. You can apply both products easily with a sponge. For the purple nails in the picture above, I used a very similar technique to that of the two-tone ombre. 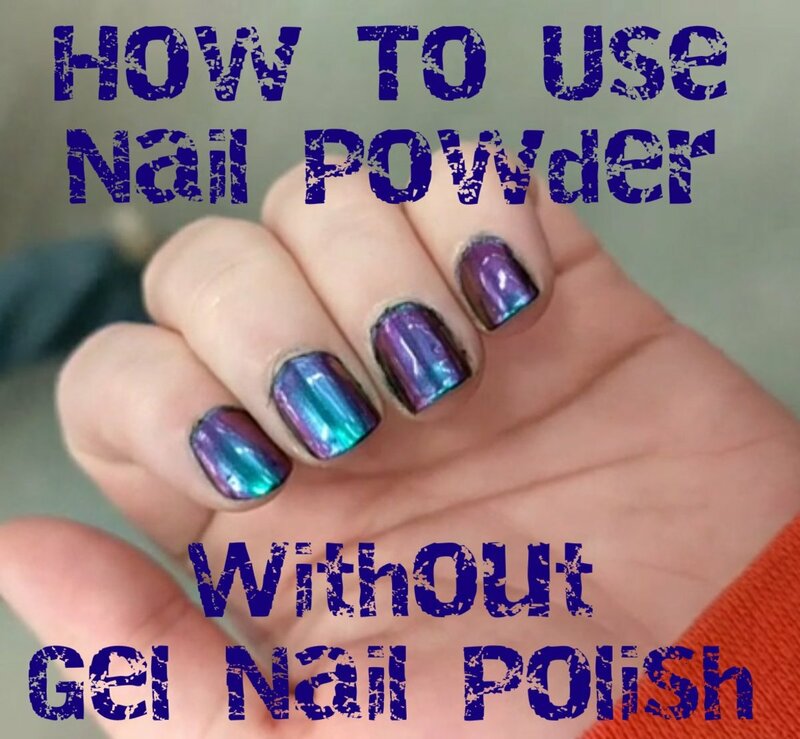 The base coat is a solid purple, and I created a reverse-ombre look by using the sponge to apply glitter at the base of the nail instead of the tip. For the blue nails, I did something a little different. You'll notice that the base coat for all of the fingers except for the ring finger is a French manicure. 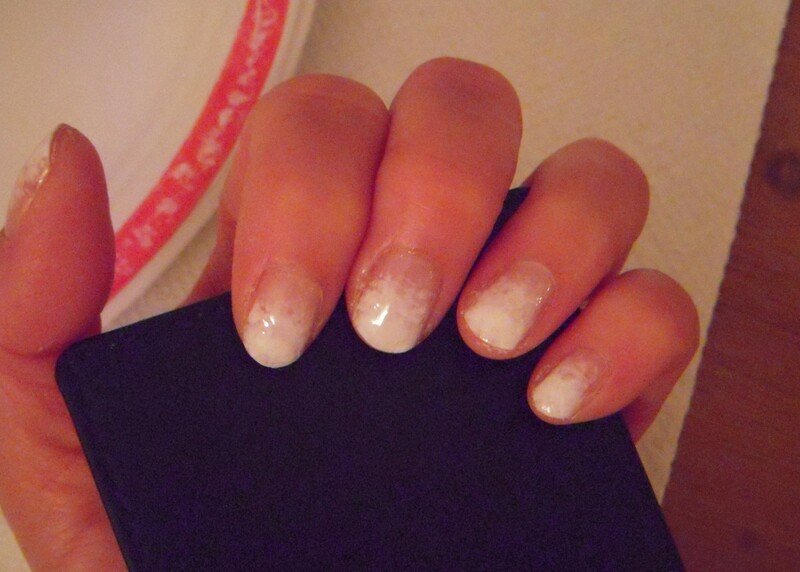 I then used glitter to transition between the clear part of the French manicure and the blue part. To do so, I used the sponge to apply clear polish where the two colors met and then sprinkled on aqua glitter. For the ring finger, I applied pink hexagon flakes with a small dotting tool because the individual pieces are so small that they're difficult to handle with tweezers. Finally, I applied a top coat so that the glitter is sealed and secure. 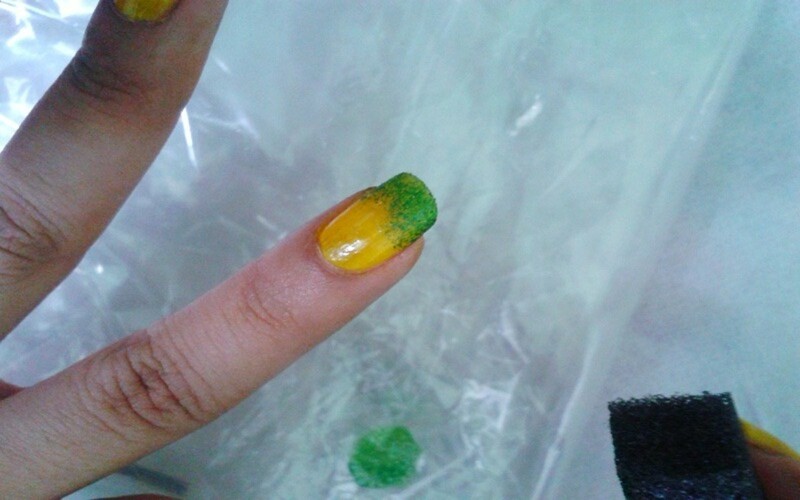 Apply a base coat (here, I used yellow) and let it dry. 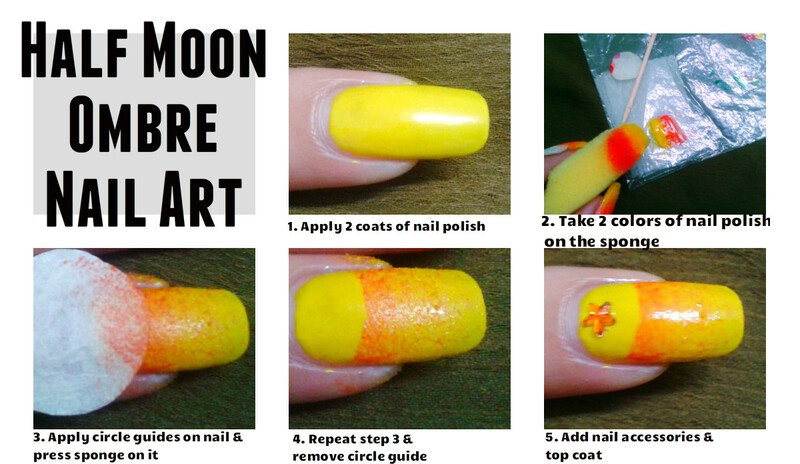 Apply the circular guide onto your nails as shown in the photo. Sponge on the ombre hue (in this case, orange). Repeat this step to make a perfect finish. Remove the guide from your nails and apply top coat. Optional: You can embellish your nails with additional accessories, like the orange star I incorporated. Get creative and embrace multiple colors. Try applying four or five different colors with the sponge technique. For this nail art, we need a white matte nail polish as the base. Apply two coats and let it dry. Now, take four nail polish colors, such as pink, blue, purple, and green. Apply each with a sponge, and experiment with vertical, horizontal, and diagonal impressions. Do not forget to seal your nail art with a top coat. 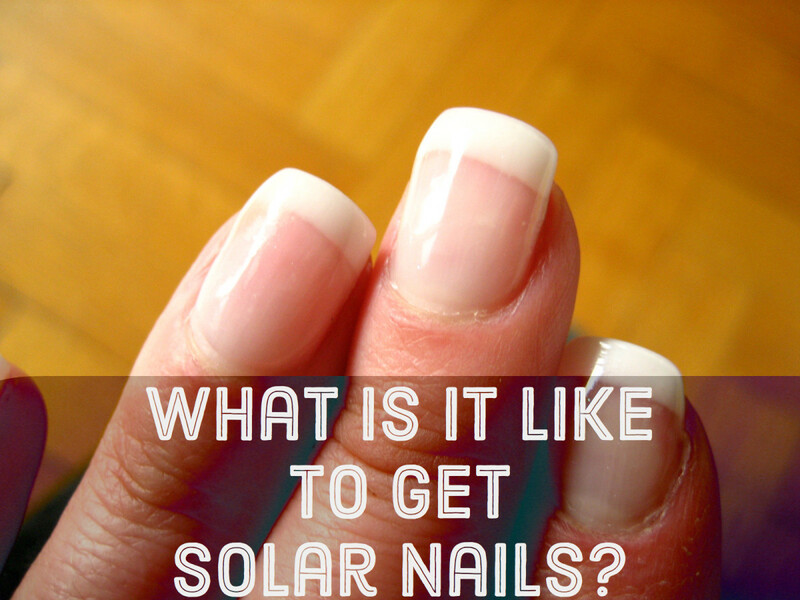 It gives shine to your nails and makes the polish longer lasting. Apply one coat of royal blue nail polish. Here, we need only one coat as a base because we are going to apply several additional coats of polish with the sponge. Now, use the sponge to apply white and pink diagonally across the nail. Next, apply yellow, green, red, and black, one by one. Add some glitter to the wet polish. Now we need to give a center to our galaxy. Use a dotting tool to add a white dot in the middle of each nail. Finally, apply a quick-dry top coat and our galaxy nails are ready. Optional: You can also make some stars with a striping brush. First of all, apply a coat of white nail polish and let it dry completely—you can also use a nail-polish dryer to speed the processes. 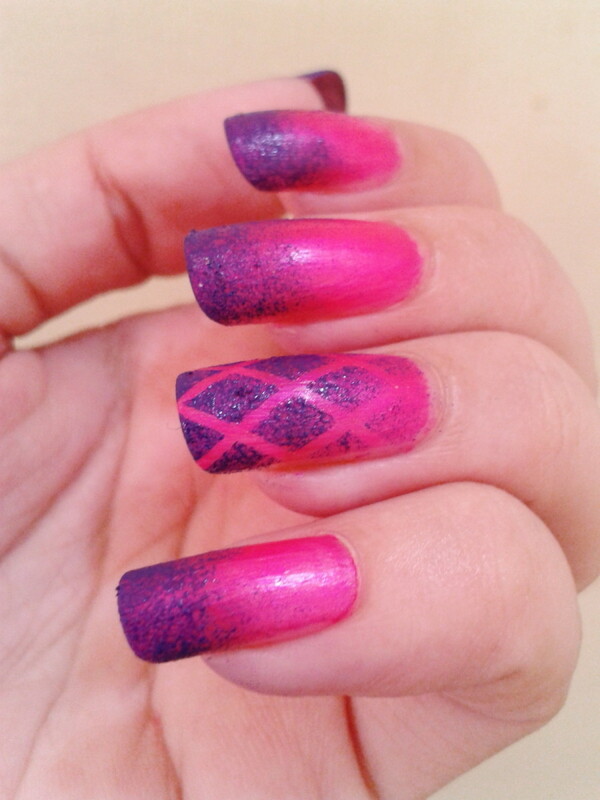 Next, lay the striping tape onto the nails in a grid pattern. Now you're set up to start adding color. Take a smooth disposable surface, such as foil paper or a plastic sheet, and transfer four blobs of nail polish onto it. Next, take white nail polish and mix it with the polish on the sheet to make four progressively lighter tones. Fill the squares of the grid on your nails with these tones to create a gradient effect. If you're planning to use more than one color, as I did in the picture above, repeat the previous step as needed. After filling all squares, carefully remove the striping tape and apply a top coat. 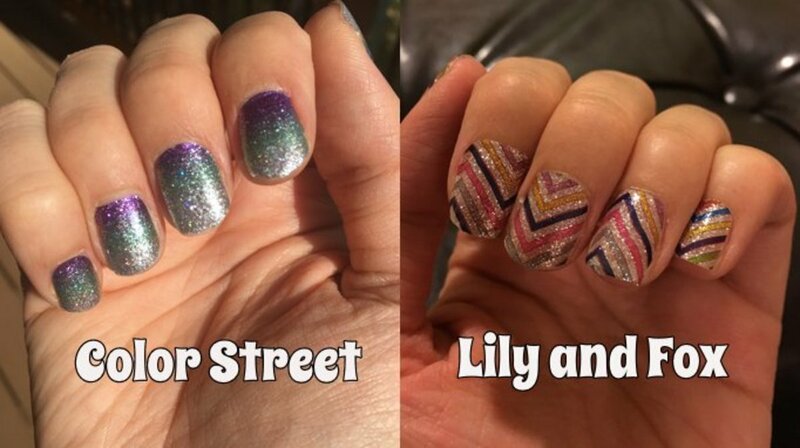 There are so many variations of the nail art you can create with the help of a sponge. Have any other ideas for ombre designs? Please share them with me below. I would love to hear. Which is your favorite ombre? surely Blond Logic... u should try it once. I have never seen this technique before. I love nail art and some years ago, I had my nails done every two weeks. I was never brave enough to do it at home, though. I wish I had read about this soon, it looks easy and the results are great. wow loved these beautiful nails and the tips you have given, pinned ur post. I sooo love nail art! Haven't tried with a bow though, so thanks for another wonderful tip! Hi Jasmeetk! I really like the pastel ombre nail art, especially the one with the bows. It looks so perfect! very nice and soo cute, jasmeetk, i enjoyed all the tips and pics step by step. really very nice and cool color schemes specially in summer in asia these days. great work, thanks for sharing dear!